The Whistler Kids Run is a "just under" 1km run through Whistler Village open to children of all ages, but is primarily aimed at introducing young children (aged 5-9) to the wonders of running in a fun and parent friendly run (parents can run with their kids if that makes the child more comfortable - no charge for the adult). This non-competitive (everyone's a winner!) kids run will include distance markers, a big crowd, a finishers award, and post run snacks just like mom and dad's big run. Registration fee is $10, and includes a special race kit designed just for kids. Registration is limited to 150 children. Just like the other events, registration can only be done in advance and on line to help save some trees. 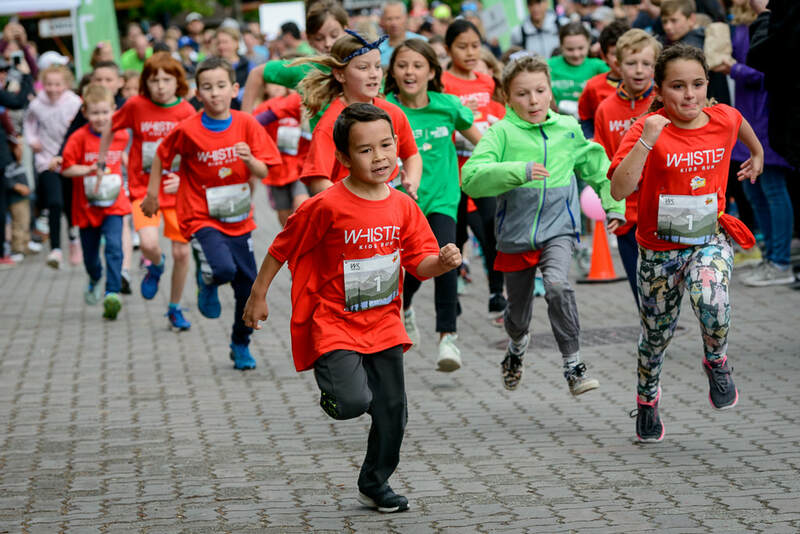 Whistler Kids Run begins at 10:30am.